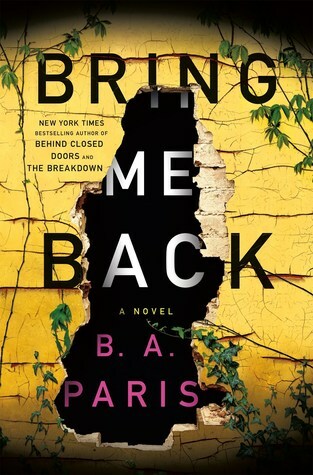 Worlds collide and secrets abound in the latest thriller from B. A. Paris! We are led to believe one thing, but told secrets along the way, but nothing can prepare us for the truth! It’s a bit out there because we’re hearing from different points of view and different time periods, but you can’t help but be riveted and want to keep turning the pages to get to the truth! Finn McQuaid was in love with Layla Gray … newly engaged, enjoying life! While on vacation, he stopped at a rest stop, locked the doors and left Layla sleeping in the car … when he came back she was gone. Simply vanished. No clues, no answers. At least that’s what he told the police and wants everyone to believe … but there was more to the story. Ten years later, life went on for Finn and he’s now engaged to Layla’s sister Ellen. Their grief over never finding Layla or discovering what happened to her drew them together and now they plan to share their future together. That is until strange things start happening. Items from Layla’s childhood start showing up around their house, Finn hears from the detective that someone says they saw Layla in their old neighborhood, emails start showing up from an anonymous person who seems to know more than any person could. What’s going on here? Is Layla alive? If so, what is where is she?